Wall Street symbolizes ups and downs of stocks with bulls and bears. 2. What Makes the Over-the-Counter Market Different From the NASDAQ or the New York Stock Exchange? 3. How Do the Prices Change in the Stock Market? Wall Street has its own mythology. You often hear a commentator say that the bears are in charge or that the bulls have taken over. Analysts like to say they are "bullish" or "bearish" on the market or on a particular stock. This has become so common that few people ever stop to explain what these terms mean. The meanings are simple and easy to remember. In a bull market, stocks show a tendency to go up in price over a period of time. This period can be weeks, months or years. Typically, the average length of a bull market is approximately 97 months. It's not an exact term. Instead, it refers more to confident sentiment among investors. In practice, it means the market has more buyers than sellers. When demand exceeds supply, prices rise. Bull markets are most common when the economy is growing, unemployment is low and inflation is somewhat tame. When someone says he is "bullish" on a single stock, he simply means he expects it to rise in price. When someone says we're in a bear market, she believes stocks are headed down. This means sellers outnumber buyers. Historically, bear markets have been shorter in duration than bull markets, with an average length of 18 months. If stocks go down for just a few days or weeks, the movement is usually called a "pullback" or a "correction." Once stocks drop 20 percent from their peak in value, you may hear speculation that it is a bear market, meaning it could drop a lot further before it comes back up. Some investors actually make money, particularly late in a bear market, buying stocks with depressed values in anticipation of them rising again. The process known as stock shorting involves selling stocks at a current price with the aim of buying them back once they reach a lower price. However, this is extremely risky given the fact that a short seller must ultimately buy the stock back, perhaps at a higher price. This could be catastrophic in the event that stocks defy bear market standards and raise exponentially in value, forcing the short seller to pay a tremendous sum to buy back the shares that he has sold short. Miners used to actually pit bears and bulls together in a fighting ring. In the United States, this was common during the Gold Rush era in California. This bloody sport eventually was outlawed, but the symbolic strength of the two animals translated into modern Wall Street usage. 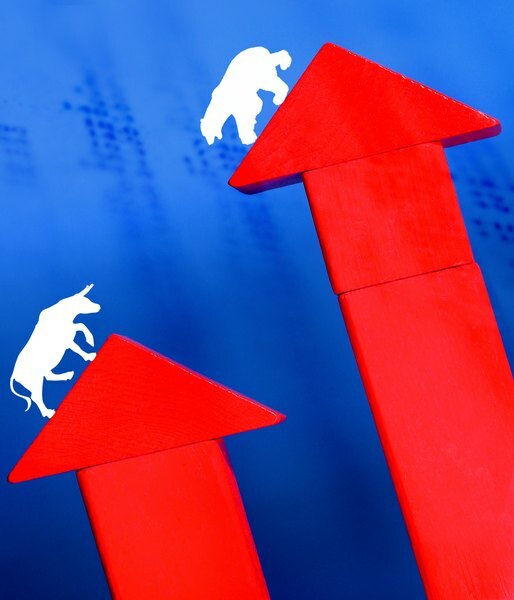 As for the "up" and "down" parts, some claim this is a reference to the bull's tendency to slash upward and the bear's tendency to strike downward. The pigs are a modern addition by some unknown wit. The Motley Fool: What is a Bear Market? What Is the Meaning of Opportunities in the Stock Market? What Is OB on the Stock Market? Are ULIPs or Mutual Funds Better?